Sara Ali Khan, the daughter of the Nawab of Bollywood Saif Ali Khan and his first wife Amrita Singh, has been introduced recently as a new bollywood actor. She is being introduced with her two upcoming movies where she will be seen for the first time in bollywood. Her mesmerising and stunning has made her fans looking forward to watch her in bollywood. Sara Ali Khan’s first film Kedarnath is going to release on 7 December 2018. In this movie she will be playing as a main role with Sushant Singh Rajput. 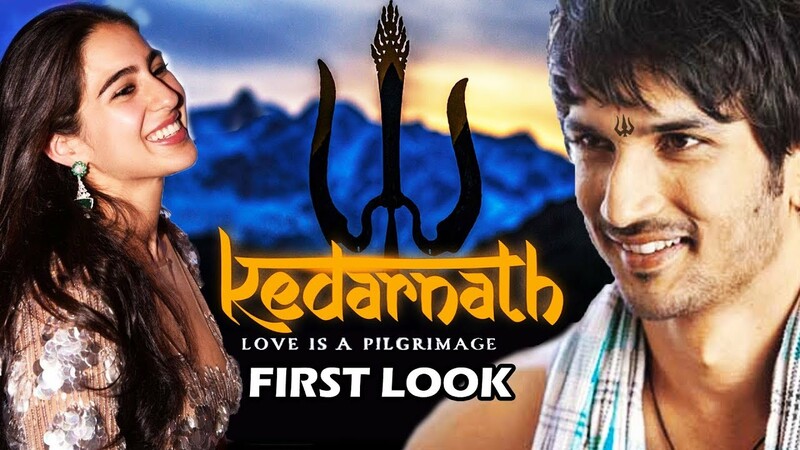 The movie is directed by Abhishek Kapoor and is themed on the location Kedarnath Temple where the love of a beloved couple is being tested when flood approaches the place. She plays a role of a Hindu girl who falls in love with a Muslim boy. As her first film, it had been rumoured that Sara Ali Khan has acted well in this movie. Her mother Amrita Singh has been found by the media to get teared by her daughters dialogs in the movie Kedarnath. Sara Ali Khan was first seen on the screen with her father Saif Ali Khan on the show Koffee With Karan, where she and Saif had shared the various moment of their lives that they have been together. On Sunday she was also seen on Bigg Boss 12 Weekend Ka Vaar where she came with Sushant Singh Rajput for the promotion of her first bollywood movie Kedarnath. She appeared there with Sushant had spent a wonderful time with Salman Khan as well as the Bigg Boss house mates. Sara Ali Khan’s next movie is expected to be superhit one. The name of the movie is Simba which is been directed by Rohit Shetty and Karan Johar. Ranveer Singh is going to act as a main role on her opposite. The movie is expected to be released on 28 December 2018. The movie is seemed to be the next part of Singham whose first two parts were acted by Ajay Devgan. Ranveer Singh is going to play the role in place of Ajay Devgan and it seems, most of the dialogs are same as Singham. This marks a great start of the career of Sara Ali Khan who began her journey with two consecutive bollywood movies that are expected to be the superhit one. The fans are looking forward to watch her as a great actor and hoping her to see in the list of the superhit actors in Bollywood.